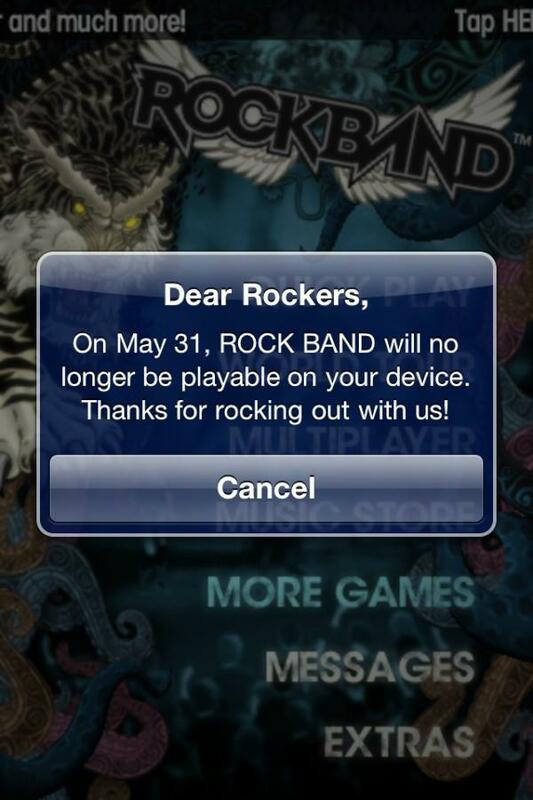 Earlier today we reported that EA was planning to close down its original Rock Band iOS app, after informing gamers via a message, however the company has now confirmed that this is not the case and the game will not be closed. A statement from EA — reported by CNET, via The Verge — said that the message, which appeared to gamers inside the app, was “sent in error” and there are no plans to shut down the title as had been reported. 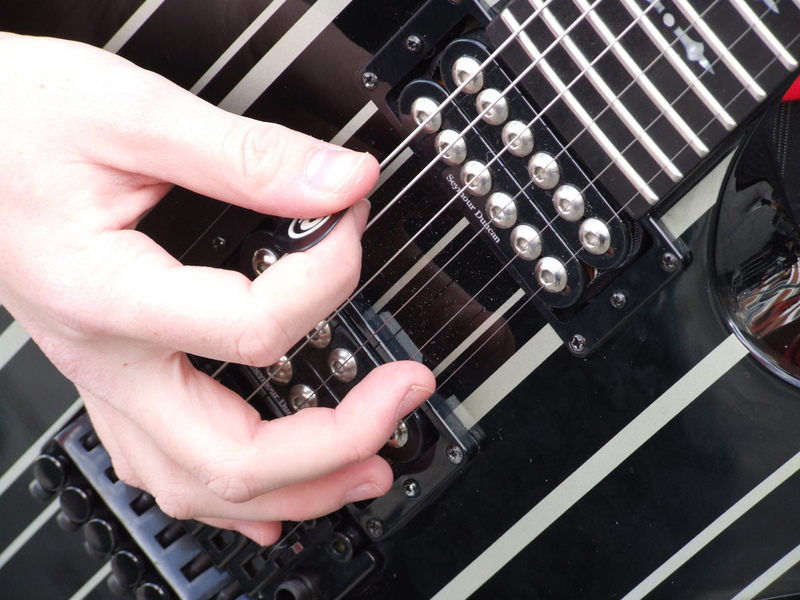 The about-turn is an interesting one and, taking EA’s explanation at face value, it is unclear exactly how an erroneous (and quite significant) message could have been piped out to Rock Band app owners. The more cynical argument would be that this is a u-turn that the company is taking in response to the feedback, which included an very relevant discussion about the value, and after life, of virtual gifts when apps and games are closed. Then there was also the significant outcry from gamers themselves, many of whom reached out to the @EAmobile handle to vent their disappointment. @EAMobile So you’re cancelling rock band on iOS devices which your customers paid full price for? I will never buy an ea game again. On hearing the news that the game will now stay, many are accusing the firm of “lying” about the error EA says caused the shut down message. So even after deciding to keep Rock Band alive, @EAMobile show contempt for their users by lying & saying the message was sent in error. We’re inclined to agree, particularly given than EA had said it was “suspending support for ROCK BAND after May 31 and focusing resources on other EA titles” in its website FAQ, although that phrase has since been removed. If EA indeed is back pedalling, it has been poorly advised as it could have gained credit for making a decision based on customer feedback. Instead, it has upset many gamers and likely lost customers and future sales in the process. What do you think? Was the notification a genuine mistake, or is EA backpedaling in response to criticism and gamer dissatisfaction?